Found one file extension association related to 3D Photo Browser and 1 file format developed specifically for use with 3D Photo Browser. 3D Photo Browser for Digital Camera is a browser for your photo, video and audio files. This is a fast and powerful media manager to browse thousands of files thanks to its thumbnails window. 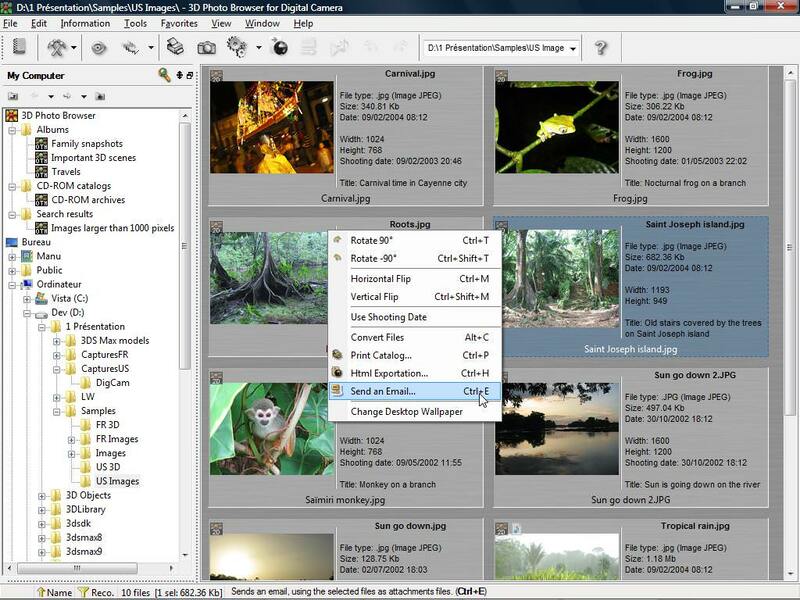 You’ll find user friendly features to display, organize and edit your images files. You’ll get the most complete tool to document and find your files on your computer or your local network. If you need more information please contact the developers of 3D Photo Browser (Mootools software), or check out their product website.